Playing the catch up game, yet again. Especially now that we're done with school for this year! Summer break time here! We were studying Russia this week. Art was suppose to be nesting dolls, but we had some Global Nesting Dolls that we just played with. Our Magic School Bus viewing included "In the Arctic" and Planet Earth viewing included "Ice Worlds." We continued to study Russia this week. The art project was suppose to be jeweled eggs, but being that Easter was the same week....we just colored eggs. We looked up information about St. Basil's Cathedral and built it out of nanoblocks. Our Magic School Bus viewing included "Plays Ball." For Easter the kids did a geocache egg hunt. My husband and I gave the kids an egg with GPS coordinates. They had to use the GPS and coordinates to locate another egg. In that egg was a clue to a hidden prize in the house and GPS coordinates to another egg on our property. 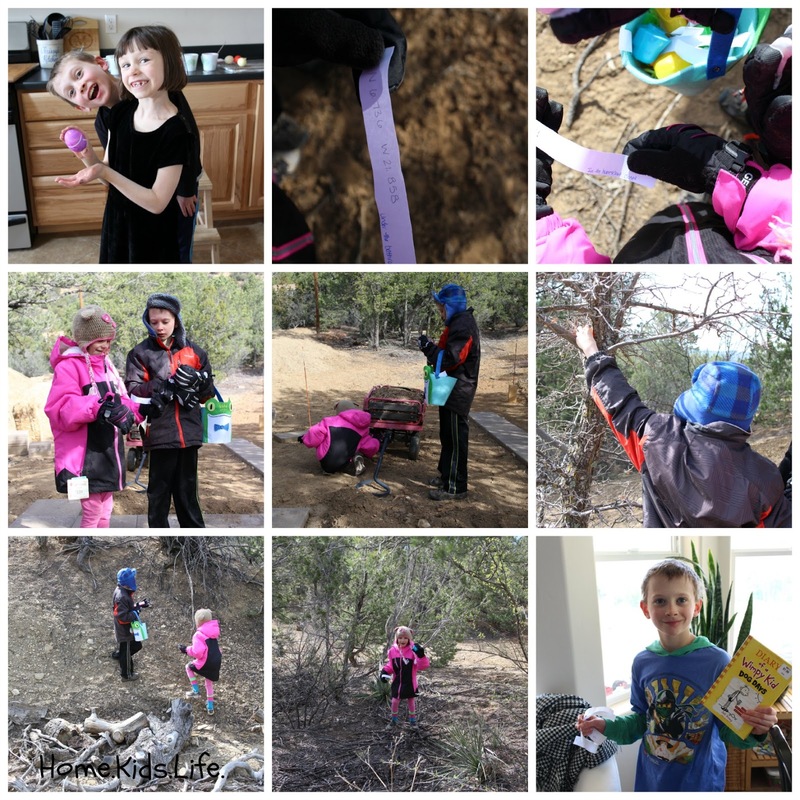 They found all the eggs on the property and then found the prizes hidden in the house. They got a few books and DVDs. It was a really fun (and educational) way to do an egg hunt. We've also been reading "Island of the Blue Dolphins." Short and sweet. Now to finish the last 6 weeks of school posting!